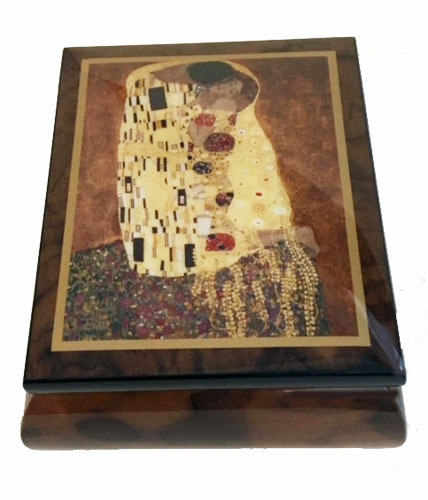 This beautiful decoupage image by artist Gustav Klimt called "The Kiss" adorns the lid of a dark high gloss elm music box from the Ercolano Artist Series. 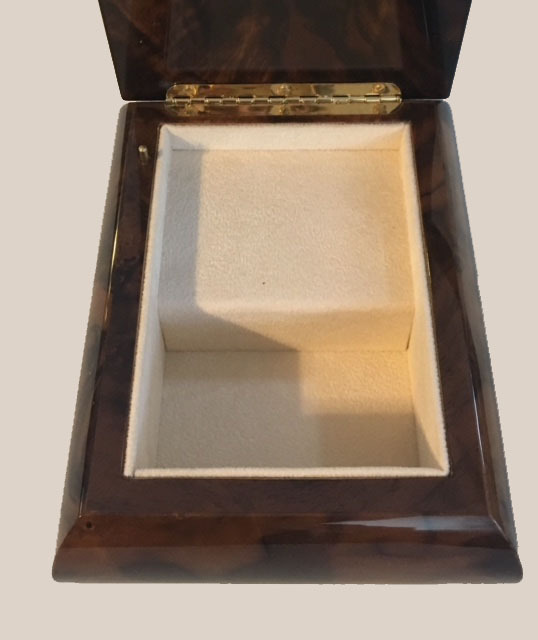 it measures 4.5" x 5.5" and stands 2" tall on little brass feet. It is lined in a lovely light beige abric and will hold a few trinkets. A very sophisticated Valentines day gift ... or any day to say, "I Love You." Select your desired melody from our 18 note Tune Selector when you add to cart.